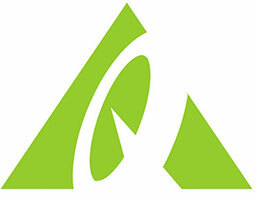 P&G Shop is an online provider of products for beauty, health care, pet care and home maintenance. The website features an instant search bar on the homepage. The numerous deals available online are commended by consumers along with the low flat rate on all shipping items. P&G Shop: Get $3 off one Olay Regenerist Facial Moisturizer or Facial cleansers. Exclude travle size. P&G Shop: 15% Off Your Entire Order (for new customers) with FREE Shipping on $25 or More. P&G Shop: Save $1 On one Febreze Product. Expires on 07/31/2015. P&G Shop: 15% off + the first 2,000 orders using the code will also get two sheets of exclusive holiday wrapping paper and two gift tags! Avail free book on order over $50. P&G Shop: Avail free book on order over $50. 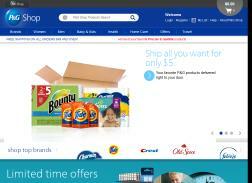 P&G Shop: Get free shipping on $49 or more. P&G Shop: Get 25% off your order of $60. P&G Shop: Enjoy 15% off your next order! P&G Shop: Sign up to receive printable coupons for Canada and free samples from P&G brands including Bounty, Olay, Pampers, Gillette and more. P&G Shop: Get 15% off $75+. P&G Shop: Get a free ‘Tide with Touch of Downy High Efficiency April Fresh Scent Liquid Laundry Detergent 24 loads’ plus ‘Downy Unstopables Shimmer In-Wash Scent Booster 13.2 oz’ with orders $49 or more. While supplies last. P&G Shop: Enjoy Free Standard Shipping. Expires on 12/31/2015. P&G Shop: Get up to $6 off select items. Expires on 07/25/2015. P&G Shop: Get up to $20 Off select Products. Expires on 07/25/2015. P&G Shop: Save $0.25 On ONE Cascade Product. Expires on 07/25/2015. P&G Shop: Save $9 On Three Boxes of Clairol Natural Instincts Crema Keratina Hair Color. Expires on 07/31/2015. P&G Shop: Get a free full-size New Olay Refreshing Nectarine Body Set with orders $49 or more. While supplies last. P&G Shop: Save $3 On One COVERGIRL Outlast Stay Fabulous 3 in 1 Foundation or One COVERGIRL + Olay Product. Expires on 07/31/2015. P&G Shop: Get $5 off 5 or more items eStore. P&G Shop: Shop Limited Time Offers. P&G Shop: Free Venus & Olay Razor with a purchase of $50 or more. First 500 people only. P&G Shop: Save $0.75 on ONE Mr. Clean Liquid Muscle, Liquid or Spray. Expires on 07/25/2015. P&G Shop: Get Up to $30 Off Select Items. Expires on 07/25/2015. P&G Shop: Get 15% off your first order. Valid one per email address. Exclsuions apply.